What a saying. It’s hard to believe that something as simple as cutting bread loaves into slices could go on to become the standard in revolutionary innovation. 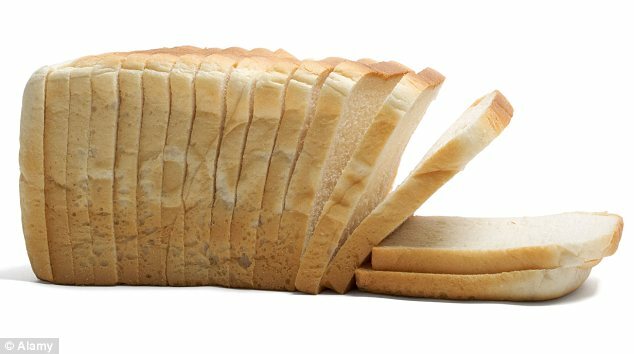 No matter what you invent now, no matter how awesome it is, it’s unlikely to impress people as much as sliced bread did when it first hit the market. And we essentially have one man to thank for sliced-bread: Otto Rohwedder, the inventor of the automatic bread-slicing machine. Otto was a classic entrepreneur. He got a degree in optometry in Chicago at the age of 20, but then a year later, chucked optometry in and became an apprentice to a local jeweller. In 1905 he moved to Missouri, bought and ran three success jewellers, and poured his profits into inventing new machines and tools. It was there that he first stumbled on the idea of an automatic bread-slicing machine. I say he’s a classic entrepreneur, because his career makes very little sense. The jump from optometry into jewellery, jewellery into bread machines. Reminds me of Steve Jobs, who was a hippie meditation teacher until Apple fell into his lap. I think you could say that he was following his passions. But that’s the key point. His passion wasn’t a “topic” – it was just what inspired him in the moment. And in 1910, Otto was inspired by bread machines. But again, it wasn’t so much the machine. Otto saw a niche in the market. He saw a need, and saw a technological revolution that could fill that need. There is money to be made in giving people what they want. It’s a rule I try to live by in my business. I know that people starting out or deep in the real estate journey need training, skills and advice. This is the service I give people, and I’ve seen how much value it is to people. Sustainable businesses are, in my opinion, always win-win. Anyway, Otto’s first step was to get his knowledge base together, and establish the market for sliced bread. He surveyed 30,000 housewives to determine the optimal thickness of each slice – a standard that’s still in effect today. From there, he sunk everything into the bread-machine vision. He sold his businesses in 1916, and set to work on the first prototype, in an abandoned warehouse on the outskirts of town. The first problem he had was with freshness. If bread is exposed to air it goes stale. Otto’s first solution was to stick the slices together with bread-pins, but the pins would often fall out. The development of the slicing machine though was progressing well. But disaster struck when in 1917 a fire broke out and the warehouse burnt down – taking his prototype and all of his research and blueprints with it. But tenacity is always an ingredient of success, and Otto refused to be beaten. He went back to work – this time as an investment and securities agent – to support his family, and he slowly rebuilt his funds. He also managed to pull a few investors in on the idea. By 1927 – a full ten years after he started work, he’d built a new bread-slicing machine, only this one was considerably better than the first. It also solved the freshness issue by tightly wrapping the bread up in waxed paper. In 1928, he filed a patent for a “single step bread slicing machine,” and formed his own company, Mac-Roh Sales & Manufacturing, to begin production. But the bread story wasn’t over yet. To his surprise, no one showed much interest in his machine. In fact, most bakeries laughed at him. It was a big machine (5ft wide x 3 high) so it was a bit bulky for most bakeries. But bakers just didn’t see a market for pre-sliced bread. No one could see any value in Otto’s machine. Can you imagine how demoralising this must have been? You believe that you’ve just invented a life-changing invention, and none one sees the value in it. In fact the bakers, those people at the coal-face of the bread industry – who more than anyone else could claim to be ‘experts’ in bread – just laugh at you. Many people would have just chucked in the towel. But not our Otto. He convinced a friend, a baker called Frank Bench, to give it a go in his bakery. Bench was on the brink of bankruptcy, so maybe he thought he had nothing to lose. The first sliced bread loaf was sold on July 7, 1928. As Otto had predicted, the sliced bread was incredibly popular. The loaves received glowing reviews in the press, and Bench increased his sales by 2000% – in just two weeks! Industry sat up and took notice. In late 1930, the New York-based Continental Baking Company using Rohwedder’s machines to build an entire business around sliced bread – the famous ‘Wonder Bread’. By 1933, nearly every reputable bakery in the US had at least one of Otto’s bread-slicing machines, and 80% of the bread produced in America was sliced. Otto’s victory was complete. He retired a rich and happy man. But it just goes to show that the road to success is paved with challenges. Even if you have a good idea – even an idea that might go on to be the epitome of good ideas – there’s no guarantee of an easy road. “Experts” will laugh at you and nobody will believe in you. That’s just the way it goes. Your best ideas will go up (or down!) in flames. But these things make us stronger. Challenge is an essential ingredient of success.